The one where Axl commented. Following the success of the History of Rock (above), we had to come up with our next idea for Concert Hotels. We’d been ideating for a while, but weren’t really getting anywhere. So I started thinking about the History of Rock and whether we could build upon its success. 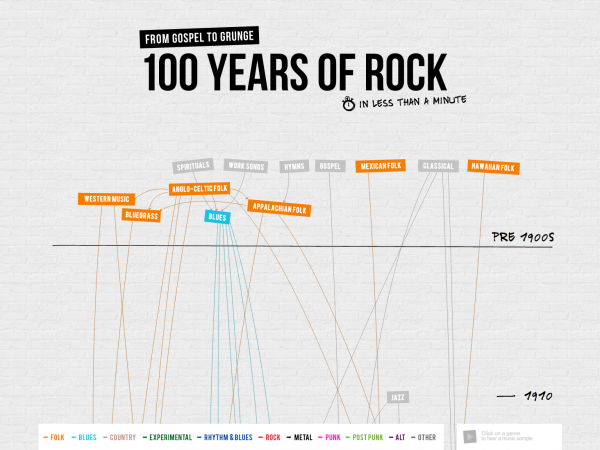 I realised that although the rock graphic showed WHAT genres were born WHEN, it didn’t really say WHY they were born. So I wondered if there was an opportunity to do something there. 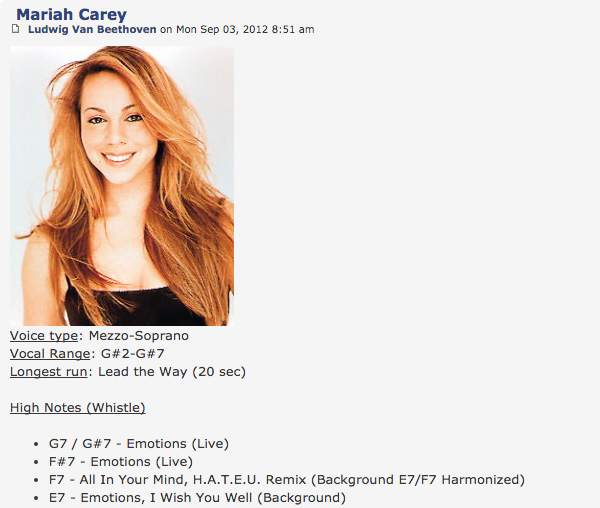 Me: What if we could show WHY the different genres of music were born? You could show the arrival of the electric guitar, the synthesiser, etc. 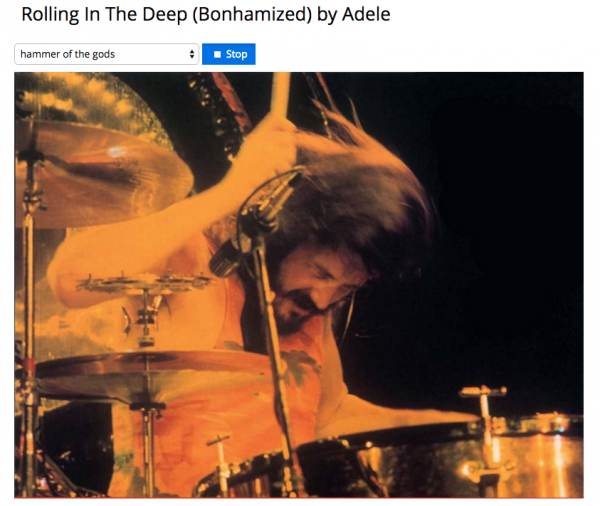 Me: I saw this thing once called the Bonhamizer that took modern pop songs and added John Bonham from Led Zeppelin on drums. I returned to my desk to do some exploring. I pulled up Google and started typing ‘Jimmy Page vocal…’ intending to look for ‘Jimmy Page vocal solo’. But while I was typing, Google suggested ‘Jimmy Page vocal range’. I clicked on it to see what came up. I ended up at the Range Place, a forum where music fans collect data on the highest and lowest notes different singers have hit in their recording careers. 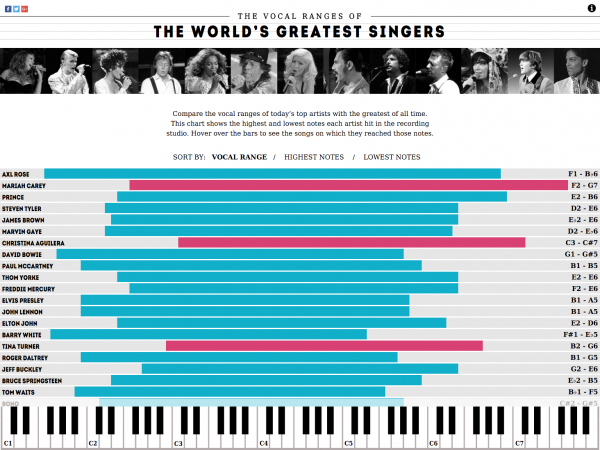 I would love to to see these vocal ranges compared. I did a quick search to see if anyone had done so. Turns out they hadn’t. I asked Phil what he thought of the idea. His response was emphatic. There’s a couple things worth noting from the above process. Asking ‘what if’ – like Phil did during our conversation – helps keep ideas alive, and looks for possibilities rather than problems. This is important during the early phases of exploration. Only later, when you’ve got your core idea, should you start to pick it apart and see if it still stands. Don’t brandish your critical faculties too early. Give your ideas room to grow. Early on is the time for optimism, synthesis, and possibilities. Later on is the time for criticism, analysis, and practicalities. We took some lateral leaps throughout the conversation and ended up in an entirely different place (vocal ranges) from where we started (the history of rock). 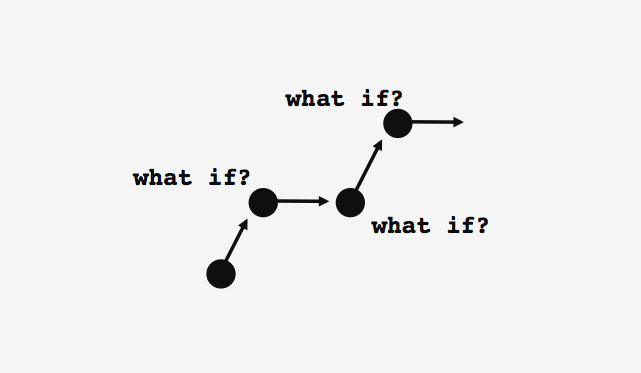 This is the nature of creative exploration, whether in research, conversation, or brainstorming. 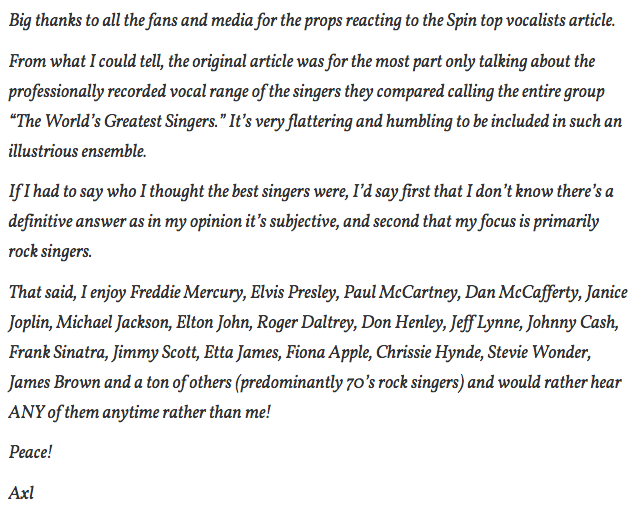 In order to give the piece a timely hook, we decided to compare the vocal ranges of the world’s greatest singers (according to a list by Rolling Stone) to the nominees for the upcoming Billboard Music Awards – the winners of which would be announced just before we launched the piece. However, this wasn’t the hook everyone latched onto. Emmm… that’s not exactly what we were saying. Funnily enough, the Daily Mail have since changed the visible headline on their page. But you can still see the original title in the page’s source code and the Google search results. No complaints from us though. This somewhat dubious journalism provoked a backlash from other publications, giving us our second wave of coverage. Vintage Vinyl News then did some digging of their own to reveal Mike Patton from Faith No More actually had the widest vocal range. This led to the third wave of coverage. By this time, the piece had received over 2 million visits and 100,000 social shares. Eventually, due to all the fuss online, Axl Rose himself came out and commented.